eBay is full of amazing and great deals. Buying on eBay.com has saved me a lot of money. 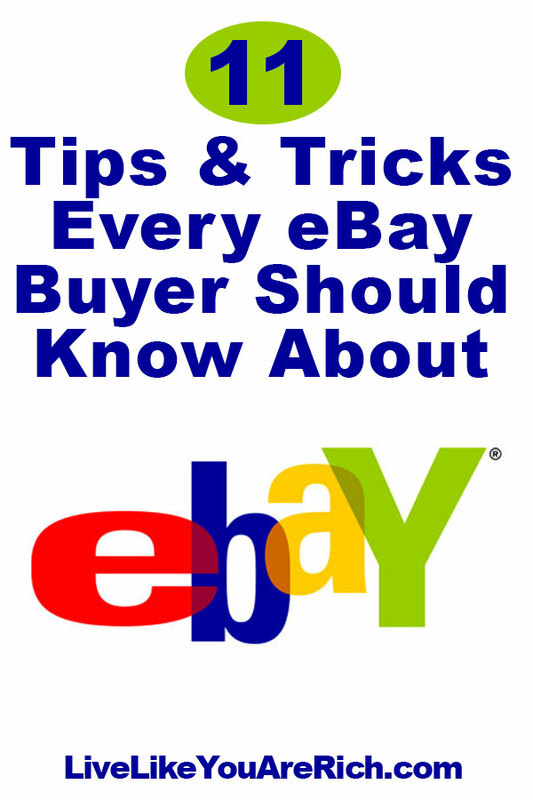 There are many tips and tricks to maximize your hard-earned money when buying on eBay. Below are 11 things about which everyone who shops on eBay should know. 1. Before bidding get the free Liberty Mutual Insurance Bid Protection Sweepstakes for eBay. I’m gutted when I bid on something I really want on eBay and lose it. I often spend time watching the item and try to bid last minute. Although that normally works, sometimes someone else comes in the very last second and ‘snipes’ it. But you can win on your eBay losses for free! I just recently learned about Liberty Mutual Insurance bid protection sweepstakes. If you lose your eBay bid, you may still be rewarded the items anyway (by winning the free-to-enter sweepstakes). Liberty Mutual has a free service for bids between $500-$1000 until September 1, 2015 within the Cars & Trucks or Home & Garden categories. If you lose your bid, you could win through their service and get that item anyway! The Home & Garden category is a HUGE category and encompasses almost everything home related: decor, crafts, baby, bath, bedding, furniture, kitchen, lamps, major appliances, pet, garden, tools, window treatments, etc. So if you plan on bidding on eBay on anything in the Home & Garden and Cars & Trucks categories, Liberty Mutual Bid Protection Sweepstakes is something for which you’ll want to sign up. eBay has a section where they highlight deeply discounted daily deals. Make sure to click on this section to see if anything you need is being featured. It’s not justified to expect the seller to spell every word correctly. After all, not every seller is a native English speaker, and even native English speakers do not get the spellings right at times for some words. Some people even mistype their entries, attracting fewer bids, since people cannot reach them. Wrongly-spelled products attract fewer bids because many people miss them. Try searching for commonly misspelled words related to the item you are looking for. Many sellers post a very little description of the product and end up getting fewer bids than they should have. You can take advantage of this to bid low. Search something like this: (mobile, smartphone, cellphone). Putting a parenthesis around keywords can pull up more listings than you thought. If you are getting too many results, use a minus sign in front of a word to exclude those returns. You can also search eBay Stores if you only want to see sellers who specialize or have a lot of inventory. Do your homework before buying an item. Is the item over described? What is the return policy? A high feedback rating does not ensure genuineness. Do check the reviews, especially the neutrals and negatives. 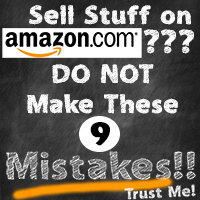 This will give you a fair idea of the problems faced by buyers with a product or the seller. Avoid sellers who have warning signs like Private Auctions, Private Feedback or Short Auctions, or bad reviews. These signs usually suggest that seller has something to hide. Instead of using the traditional bidding, try this one out. Swoop in the last 15 seconds before the deadline and be a star bidder. This leaves no time for your competitors to fight back. There are sites that can automatically do this for you. You need to simply sign up with them, enter the item details and the maximum price you want to pay and they will bid for you in the last few seconds. There’s nothing wrong with asking for a discount, even if the listing doesn’t show the ‘make offer’ logo. Haggling works best on buy-it-now listings or auctions with a high start price and no bids. Start the conversation by asking about the product and its features. Be courteous and polite. You must work on building a rapport with the seller first, and then talk about the discount. This will take you forward with the deal, and if the seller develops a liking for you, he or she may actually give you the product at a far lower price than you expected. Contact the seller via private message and not the listing page. Looking for something hard to find? eBay will email you every time the desired product is listed. You need to simply save the searched item you are looking for. You will receive an email with a link to the auction at the instant it hits. You can turn off these alerts any time you like. Sellers may suggest you do a deal outside eBay for a cheaper price. I wouldn’t recommend it as you’ll have less protection if things go badly. Another common ploy is for a seller to say “before bidding, contact me” and ask for a money transfer. Scammers who hijack bona fide eBay accounts often use this tactic. Alarm bells should ring if you’re asked to pay by an instant money transfer service such as Western Union or MoneyGram. Instant money transfer payments cannot be traced at all in cases of fraud, and are popular with scammers. Avoid sending checks and never use money orders. When you use PayPal, scammers cannot easily vanish with your cash, and you’re covered by eBay’s Money Back Guarantee scheme. If an item is faulty, counterfeit or non-existent, you’ll be far more likely to see a refund. If you’re looking to purchase a product, consider buying local, so you can save on shipping costs. Often eBay sellers charge you the exact shipping price. If you’re local, you can ask to pick up the item, or you might get a lesser charge on shipping. In many cases, especially for bigger ticket items, sellers list them for local pick-up only. With such listings, you can grab some fabulous deals. If you’re picking up in person, take simple precautions to make sure the transaction is a safe one: Talk with them on the phone ahead of time; Go with a friend; meet in a public area (gas stations have outdoor cameras and are almost always busy); and always tell someone exactly where you are going and arrange to contact them afterwards. If the item is too big to meet in public, take a mobile phone, go up to the door with a friend, and stay on the doorstep if possible. If a listing or email looks dodgy, trust your gut and don’t go. If you don’t like the idea of someone coming in and bidding higher than you, you can check out eBay’s Buy It Now feature. This allows a buyer to purchase the product instantly before people start bidding on a product. If you’ve done your research, you will know what the item is worth. And if a product normally sells at the listed Buy It Now featured price, then you can save time by purchasing it now. It can also take the stress out of bidding and eliminate the possibility that someone else will “snipe” you at the last minute. The whole process of buying has become very complex. Now that you know and are aware of the tricks and tips of the eBay market, you’ll be sure to get the best deal.